Melon-Mango – Peach-like and juicy! A “Honeydew Day”. . .”honey do this. . .honey, do that! Strawberry-Champagne – No black tie required. Just pop the cork and enjoy the fizz! Tangerine Cream – Tangerine-a fruit that is pliable, loose, juicy and eaten readily! Sounds good to us! Eau Zone and Shunga brand are launching new flavors of lubricant The new TOKO AROMA flavors are water-based like the rest of the AROMA lubricants. 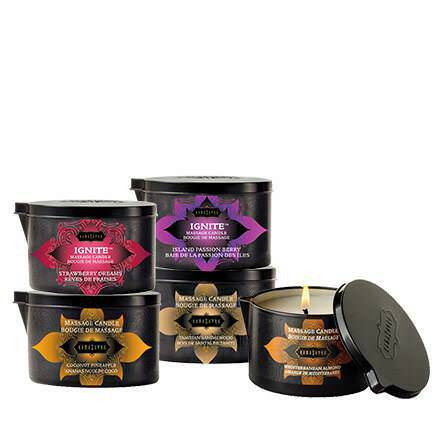 Sugar-free and latex-safe, the lubricants are also ultra-silky and long lasting. Lustful Lychee: a delicious taste to excite and guide your senses; all the while providing an ultra long-lasting silky-smooth sensation. A close relative to the rambutan and longan, the lychee is the ultimate summer fruit you never knew you needed. … In the lychee, the balance of sweet and tart is perfected. Its light, floral taste — some say it’s a grape/rose, others insist pear/watermelon — pairs perfectly with coconut, lime, and other tropical tastes.